Russian Nuke RDS-4T model is finished rebuilding. Its old model used "Many polys for small parts" / "A few polys for big parts" --- unbalanced. Having visual bugs like tail fin rings become disappeared seen from diagonal back. Hooked in strange offset position. And No LOD models ---- fps damage in far distance. I solve those problems and "Hooked position" is also tuned as "Generation 2016" one. Other Russian modern arms are also finished. 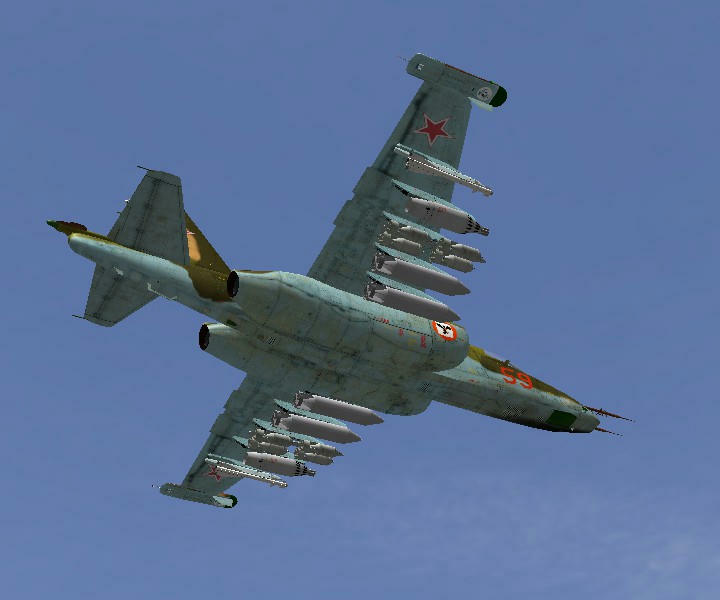 RBK-250 cluster bomb, MBD bomb rack, Rocket launchers UB-16 / UB-32 / B-13 / APU-68UM2, Rockets S-24, PTB-800L for Su-25. Existing model is good and only re-position into Gen2016. 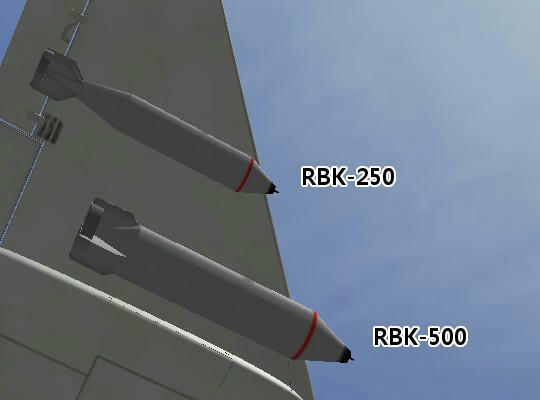 AGMs Kh-25 / Kh-29, Rocket S-25 and its launcher O-25. KMGU2, SPPU22, AGMs / AShMs. 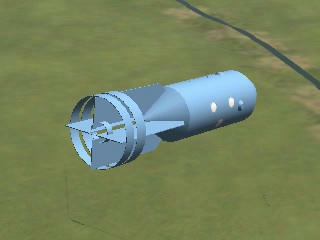 Building a native 3d model of KMGU-2 ..... Russian cluster bomblet container. UV mapping , texturing and some faces structuring are rest. 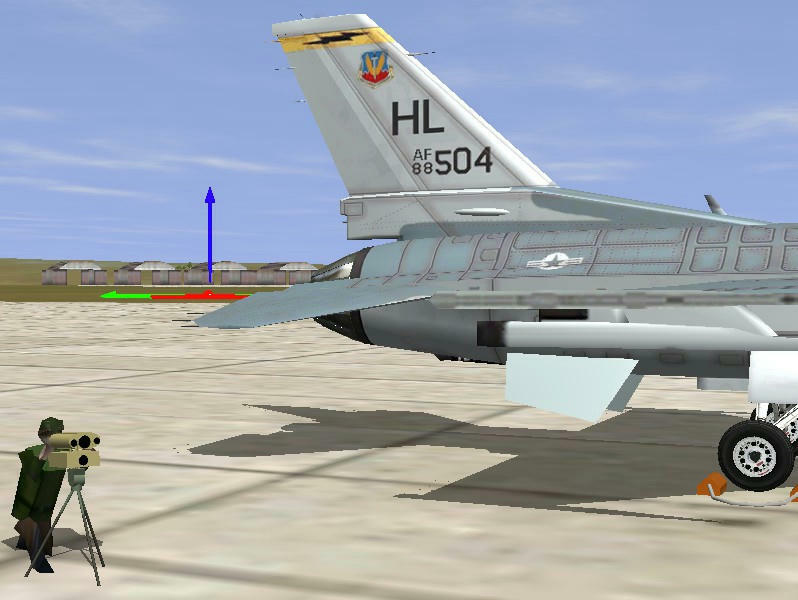 Even current IL-2 1946 games don't have the function of open / close cassette doors, I've modeled them with inner walls. Great work western! 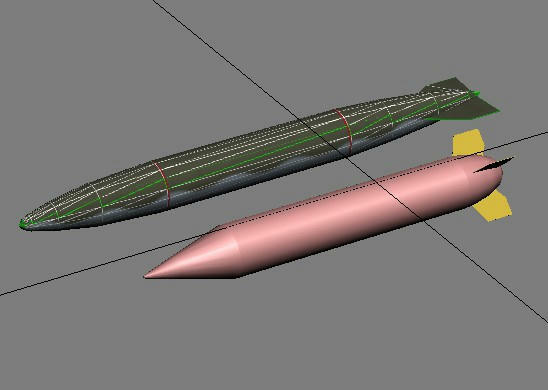 Really looking forward for this new ordnance! I've thought the same way. Once I'll finish it as a usual Pylon object. New KMGU-2 model is in game, only doors closed style. RBK-500 is also made. Texture task is also rest. I'll publish a new Weapon pack Gen2016 archive after finishing those texturing. 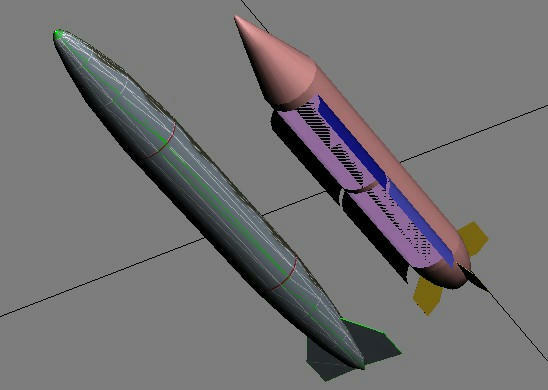 SPPU-22 gunpod model conversion (or remodel) is also needed for Gen2016. I found existing SPPU-22 gunpod model is too short. Stretching lod0 model is done. Building lod 1/2/3 models and shadow models is the next task. New Weapon pack Gen2016-iii is published. 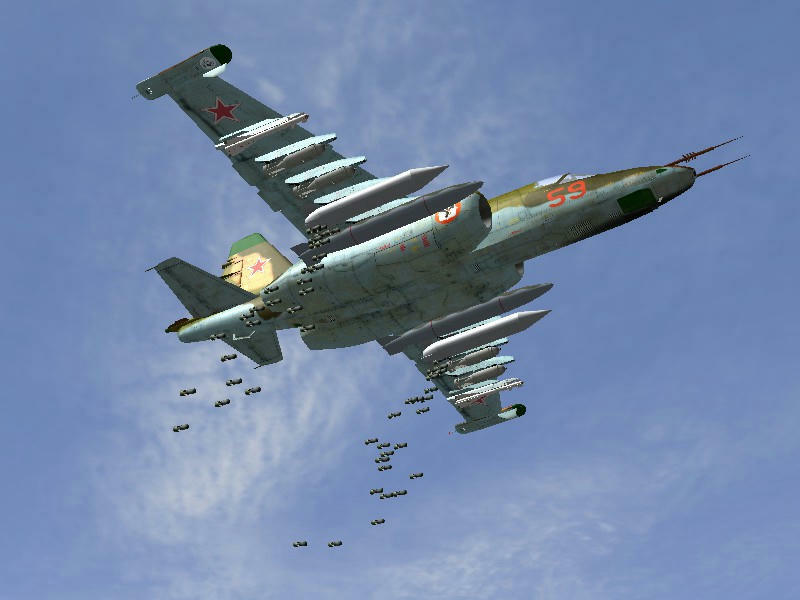 New USSR models , Israel models are available. 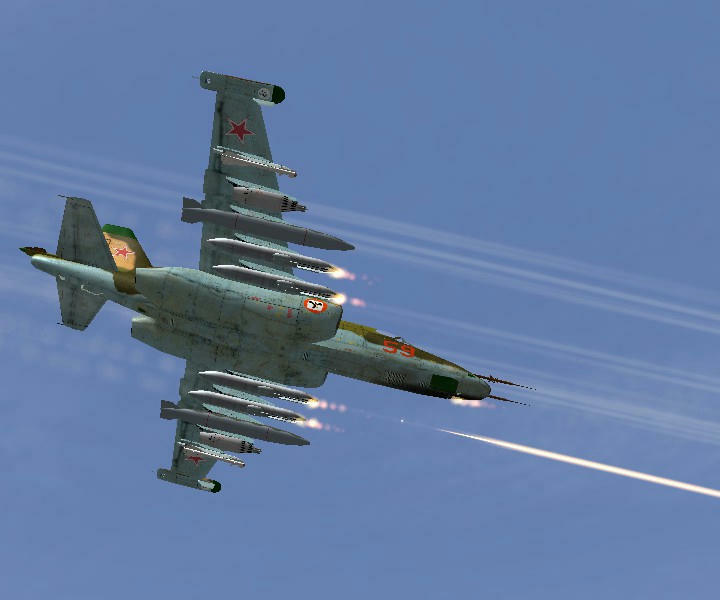 Now working on Su-25 to use new Generation 2016 arms with historical places and combos. 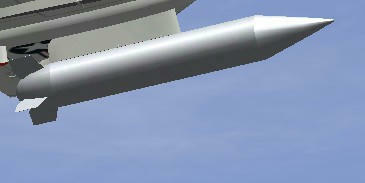 19 months after ...... coming to IL-2 1946. But borrowing an artillery slot, no function. and java programming to work Laser Designator for PavewayII. Hurray! A laser-camera guy figure!